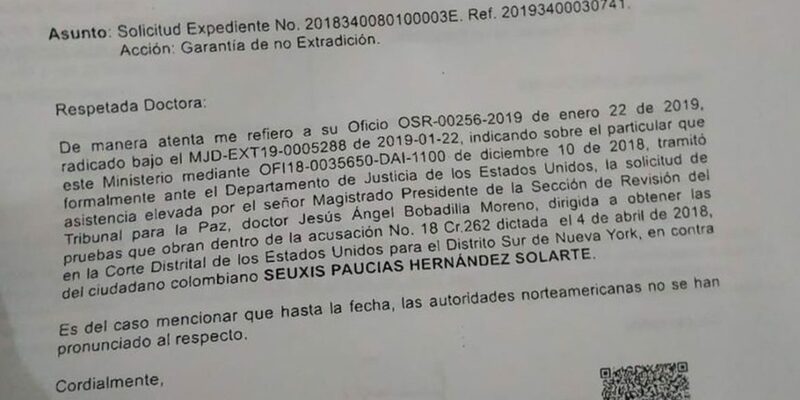 Letter in which the Justice Ministry tells the war crimes tribunal that it hasn't heard from US authorities over the request for evidence against "Jesus Santrich." Colombia’s government lost the letter in which the country’s war crimes tribunal requested the United States Department of Justice to surrender evidence of alleged drug trafficking by a demobilized FARC leader. 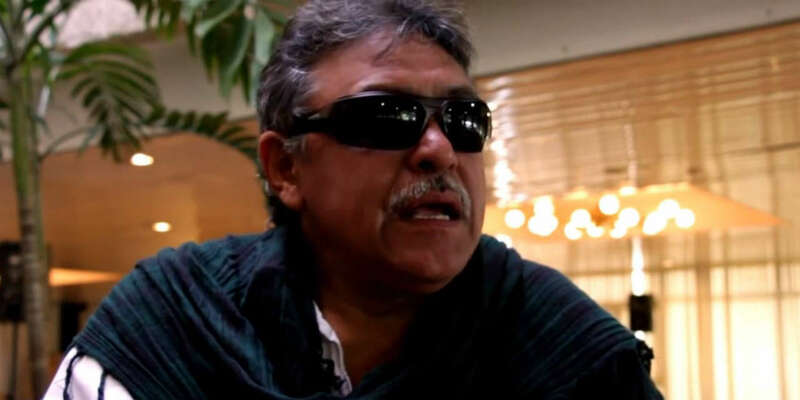 The FARC’s long-time ideologue, “Jesus Santrich,” was arrested in April last year after the US government requested his extradition on claims that the demobilized guerrilla leader was plotting to export 10 tons of cocaine. Because Santrich is taking part in a peace process and is shielded from extradition, the war crimes tribunal requested evidence that would merit the FARC leader’s expulsion from the peace process. This formal request, however, never reached either the US embassy or the Justice Department in Washington DC. Because of the blunder, the legal time limit to surrender evidence has expired. The government’s apparent inability to deliver a letter spurred major criticism and even calls for the resignation of Justice Minister Gloria Maria Borrero. Colombia’s government can’t even deliver a letter? The Special Jurisdiction for Peace (JEP) in December asked the Foreign Ministry to deliver the request for evidence to US authorities. This request was denied on claims that the procedure should be handled by the country’s Justice Ministry. 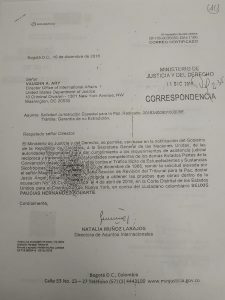 Borrero confirmed having received the request on December 3 and on December 11, the minister’s international affair chief, Natalia Muñoz, sent the letter to the US Department of Justice on December 11 using state postal service 4-72. 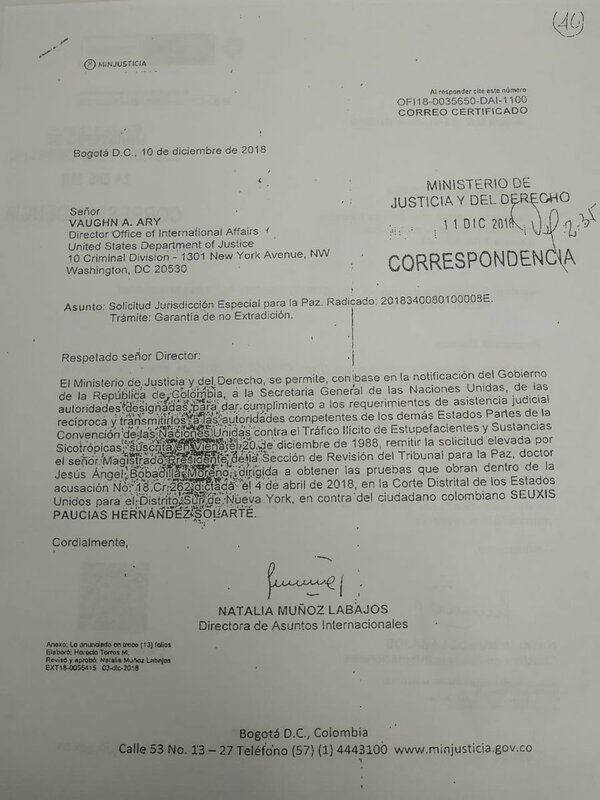 But instead of arriving in Washington DC, the letter ended up in Panama, a confused Borrero told Blu Radio on Friday, the day after the court request for evidence expired. We process 180,300 extraditions a year through that mail. It is the first time, say the people in the ministry, that this has happened to us. The minister said that, after finding out that the letter had ended up on a pile in Panama City, government officials personally handed the request for evidence to acting US Attorney General Matthew Whitaker, who was in Colombia a few days ago. Borrero reportedly asked Linares to extend the legal time limit to surrender evidence to allow the US Department of Justice to comply with the request. The JEP did not publicly respond to the affair. With or without evidence the DEA claimed to have, the FARC has said to be confident that Santrich would be released from prison and resume his political activities. The US extradition request and the FARC leader’s arrest spurred one of the biggest crises in the peace process. More than 30 former FARC commanders, including political chief “Ivan Marquez” went into hiding, allegedly afraid they too could be arrested on unsubstantiated claims of criminal activity.